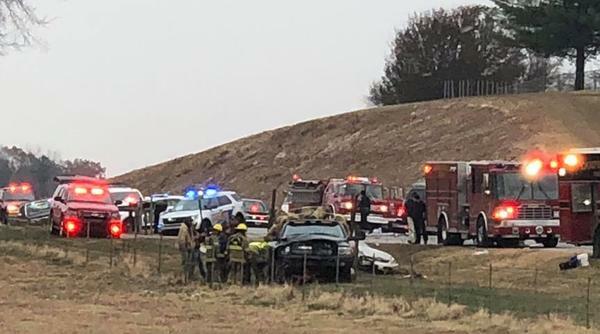 A Burkesville man passed away from injuries sustained in a multi-vehicle automobile collision on KY 55 Tuesday that left several individuals with serious injuries. 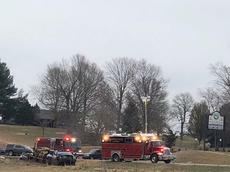 According to Taylor County Coroner Daniel Cook, Steven “Kyle” Taylor, 31, of Burkesville was pronounced deceased at Taylor Regional Hospital by the Taylor County Coroner’s Office. A report from the Campbellsville Police Department states that at around 3:30 p.m. Tuesday, 2017 GMC Yukon operated by Kathy Begley, 50, of Campbellsville, was stopped on KY 55 waiting to turn left into Swan’s Landing when a 2003 Dodge dually pickup hauling a goose neck trailer loaded with logs failed to see several vehicles stopped in front of him, waiting for Begley to turn. The Dodge was operated by 29-year-old John Yoder of Columbia. According to CPD, Yoder’s truck struck a 2007 Chevrolet Impala in the rear operated by David R. Coop, 48, of Albany. Coop’s vehicle was a taxi owned by Smith’s Taxi LLC of Albany. Taylor was a passenger in Coop’s vehicle. Rosa A. Muse, 55, and Earl A. Muse, 61, were also in the vehicle. The chain reaction caused Coop’s vehicle to strike a 2003 Honda Element operated by 30-year-old Sarah A. Hedgespeth of Greensburg, causing the Hedgespeth vehicle to strike Begley’s vehicle, which was stopped waiting to turn. All of the individuals involved except for Yoder were transported to Taylor Regional Hospital by Campbellsville-Taylor County EMS. A three-year-old child in the Hedgespeth vehicle was later transferred by EMS to Norton’s Hospital in Louisville. A portion of the highway was blocked from traffic for approximately five hours Tuesday as emergency crews worked the scene of the collision and reconstructionists from Kentucky State Police investigated the collision. Emergency crews reopened an approximately four-mile section of KY 55 at around 8:30 p.m. Tuesday night. Multiple first responder agencies were involved in working the collision including Campbellsville Police, Kentucky State Police, Taylor County Sheriff’s Office, Campbellsville Fire-Rescue, Campbellsville-Taylor County EMS, Taylor County Fire, Taylor County Coroner’s Office, State Highway Department, and Campbellsville Street Department. Detective Jonathon Leigh and Officer Jacob Hedgespeth are the investigating officers with the Campbellsville Police. More details will be released as they are made available from law enforcement and emergency officials on our website at www.cknj.com.